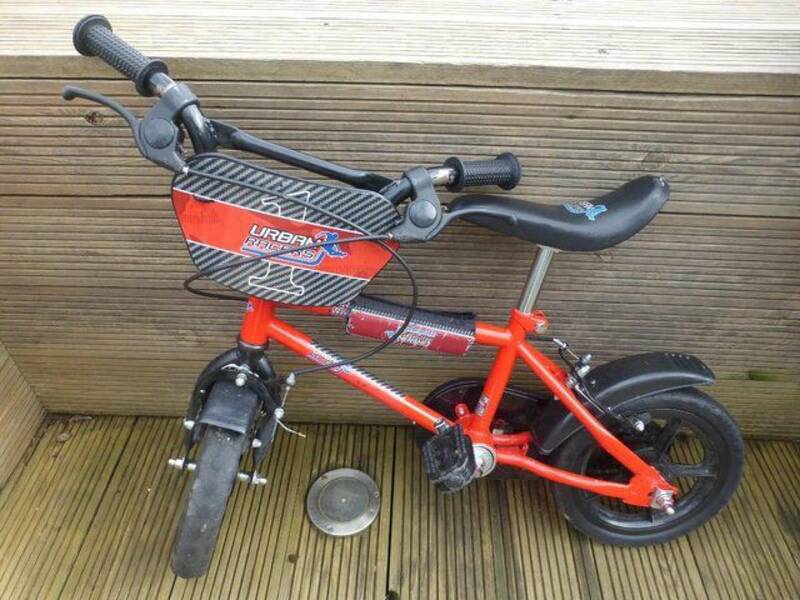 Boy's bike with 12" wheels. Wheels are solid rubber, so no need to worry about punctures. Used and a little worn in places but still lots of life left in it. Perfect for a child between the ages of 4-7.